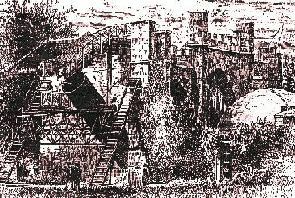 In 1755 Immanuel Kant first speculated on philosophical grounds that there might exist "island universes" of stars like the Milky Way. 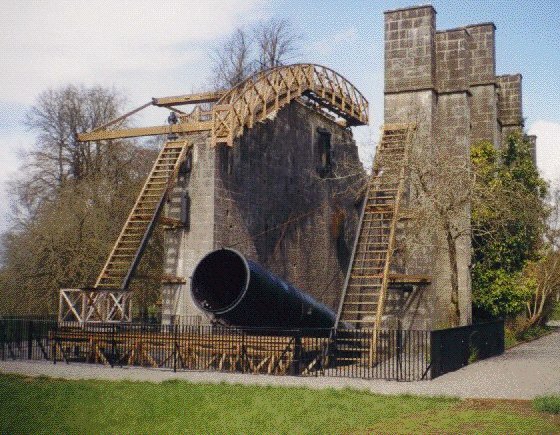 In 1845, William Parsons, third Earl of Rosse, using a 72-inch home-built telescope at Birr Castle in Ireland, nicknamed the Leviathan of Parsonstown , determined that some of the nebulae have Spiral Structure and adopted Kant's term for them. The nature of the Spiral Nebulae was debated both literally and figuratively for the next several decades. A summation of the arguments was made in the Shapley-Curtis Debate (1920), between two eminent Astronomers, Harlow Shapley, then at Mt. Wilson and H. D. Curtis of Lick Observatory. Hubble detected Cepheid variables in Messier 31 - the Andromeda Galaxy - and other Local Group galaxies, establishing distances of hundreds of thousands to millions of light years. where a is the length of the major axis and b is the length of the minor axis. Of course, the Hubble Classification does not tell us the true shape of the galaxy (e.g. an E0 could be a "cigar" seen down its barrell). Statistical arguments suggest that the distribution of galaxies among the ellipticities is roughly uniform. Resolution of arms into supergiant stars and HII regions (Sa=smooth, few small HII regions; Sc=clumpy, lots of bright supergiants & HII regions). Here's a tuning fork composed of real galaxy images; click on the image to see a larger version, click on the name & Hubble Class to see more information about the galaxy from the SEDS Messier Database. Irr I which are in some sense a logical extension of the Hubble tuning fork, having characteristics "beyond" those of class Sc - high gas content, dominant presence of a young population. Irr I galaxies may show bar-like structures and incipient spiral structure like the Large Magellanic Cloud, below. Such galaxies are sometimes referred to as "Magellanic Irregular" galaxies. Irr II which are galaxies which defy classification because of some form of disturbance. M82, shown below, is undergoing an intense period of star-formation. Nurture - Physical Environment: The environments of differing types of galaxies are also distinct. Most rich clusters contain only E & S0 galaxies, whereas Spirals and Irregular galaxies are found principally in small groups. It has become apparent that collisions, both between galaxies themselves and between the fragments that conglomerated together to build galaxies, are important in the formation/evolution of galaxies. As we have discussed collisions between galaxies have a much more dramatic effect upon the gas than upon the stars because of the great interstellar distances. Collisions and mergers of galaxies can stimulate intense bursts of star formation as molecular clouds collide. Collisions can also strip the gas out of galaxies. It is quite likely that both effects play a role in determining the nature of galaxies. Certainly collisions and mergers must play a role in the formation of cluster elliptical galaxies. It seems almost certain, for example, that the giant elliptical galaxies seen at the centers of rich clusters formed as galaxies gradually accumulated at the center of the cluster's strong gravitational field. 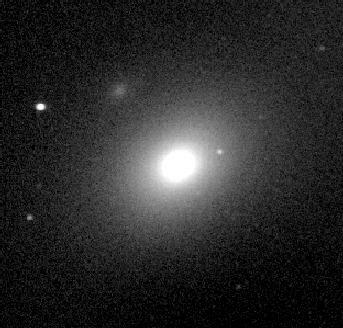 While rotation probably also plays a role, especially for disk (spiral and S0) galaxies, the history of the Milky Way suggests that the contraction of the Galaxy to a disk was slower than had previously been thought with accumulation of 106 - 108M fragments forming first the bulge, then the halo and gradually settling down into a disk due to angular momentum. The idea of this "bottom-up" accumulation of larger galaxies from smaller fragments is also supported by current calculations of the formation of structure in the early Universe. Our picture of the formation of galaxies remains hazy, however, and much remains to be understood. Messier Database with information & images about galaxies in the Messier Catalog of 100+ galaxies, clusters & nebulae. Bill Keel's Messier Image Gallery at the University of Alabama. M87, M95, & LMC - Dr. David Malin, Anglo Australian Observatory. 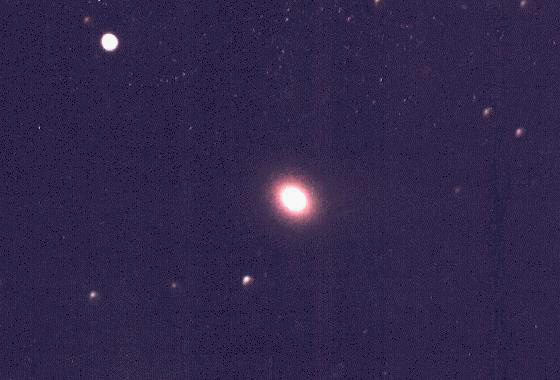 Several of the avove "deep-sky" photographs were obtained by amateur astronomers with modest sized telescopes.